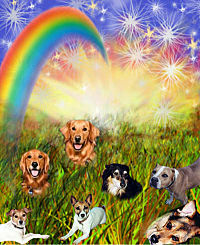 Reading the Rainbow Bridge Poem and all the heartfelt stories of beloved pets now gone but never forgotten, will help to ease your pain. I know it will. Reading through these lovely stories has helped me many times. 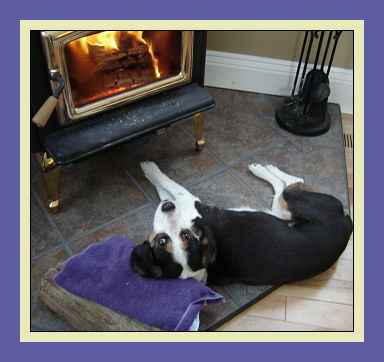 I invite you to share your own personal pet memorial story at the bottom of this page. 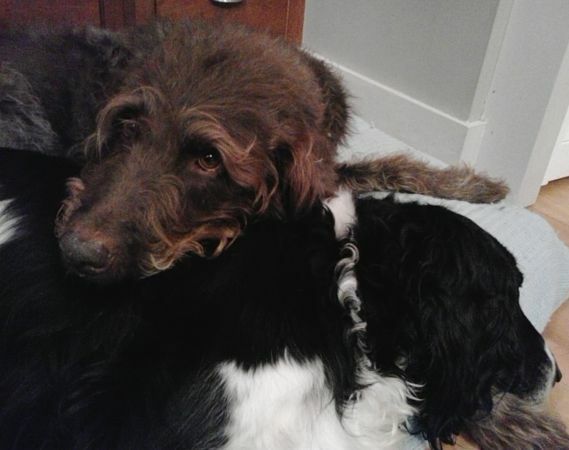 Teddy our Labradoodle, watching over Pager his best friend, shortly before Pager crossed over the Rainbow Bridge. While reading the poem, try to feel how wonderful it will be to finally meet your beloved friend again. Feel the soft fur, look deep into the eyes. Your pet knows how you feel. Love is a feeling like no other. Then... you cross the Rainbow Bridge together. 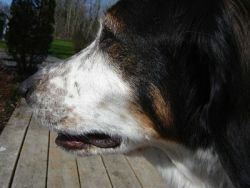 It is comforting to know that when a beloved pet dies, they are finally pain free, happy, and cared for. I know you feel blessed that you had the time you did with your wonderful pet. Sometimes it just helps to talk about the loss of a pet. Sometimes you can't stop talking about it! Talking about the death of a pet, seems to bring that pet closer, sort of like if you keep talking about it they will stay with you longer. Often, other people don't understand this...but I do. Pet bereavement is different for everyone, but the loss of a pet, is one of the most profound experiences of love and loss that anyone can go through. 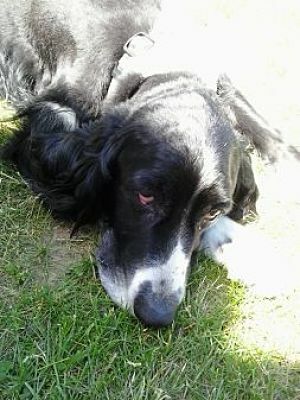 I hope writing here about your beloved pet, will ease the transition. If you wish to return to Home Page you can do it here. 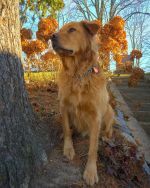 If you feel you would like to share your story of love for a beloved pet who is no longer with us, I invite you to do so. Please feel free to add a picture. We would love that! 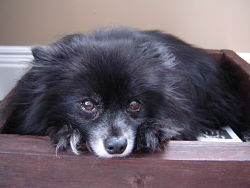 When a pet dies, it can be a very emotional experience. I hope this page has given you comfort. "Until one has loved an animal, a part of one's soul remains unawakened. The day will come when there will be another dog to love. Look forward to it... for he will love you like no other. 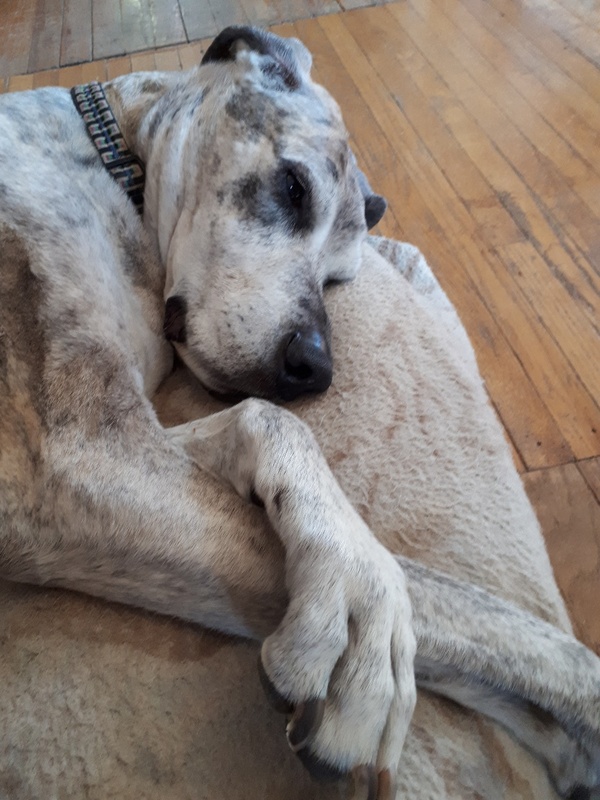 Lovely, gentle Gracie was 13 when she passed. 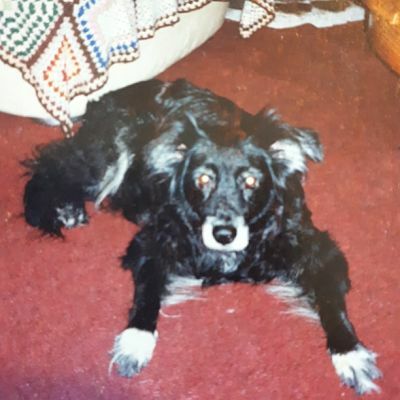 Handsome, reliable Pager crossed over The Rainbow Bridge at 16. You did a great job raising Teddy, Pager. You taught him well! 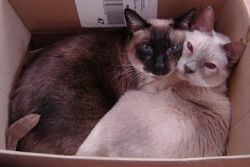 My precious Siamese kitties...Billy and Cuddlebunny ( 22 and 21 ). So many wonderful years with these two best friends. I miss the snuggling, Boys! My Little Tuxedo left me at 16 on a quiet, warm August evening. Rosie, you broke my heart when you left me at only 5 years of age. You were so sick! 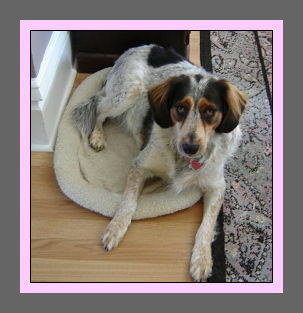 My unforgettable, darling, sweet Maggie. You were by my side for 22 years. How I love you still. Thank you for all those wonderful years! Where has the time gone?